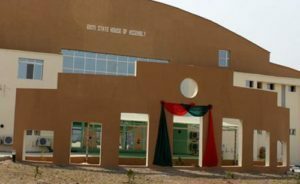 The Ekiti Assembly House of Assembly has suspended former Deputy Speaker and member of the Peoples Democratic Party(PDP), Hon Segun Adewumi, for six weeks over alleged legislative misconduct. The suspension of the the former Deputy Speaker, who represents Ekiti West constituency 1 in the House of Assembly, was attributed to undue interruption of the speaker, Hon Adeniran Alagbada while presiding over the House at the plenary on Tuesday. Adewunmi was said to have engaged the Speaker in hot altercation, a situation which provoked the Speaker and earned him (Adewunmi) an immediately suspension order in accordance with section 17 of the house’s standing order.